Philip J. Briggs, PhD formerly served as a professor of political science at East Stroudsburg University. 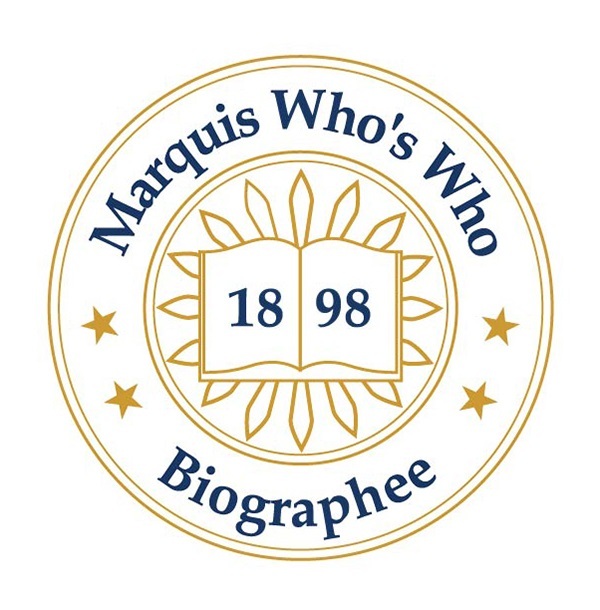 BETHLEHEM, PA, September 28, 2018 — Marquis Who's Who, the world's premier publisher of biographical profiles, is proud to present Philip J. Briggs, PhD, with the Albert Nelson Marquis Lifetime Achievement Award. An accomplished listee, Dr. Briggs celebrates many years' experience in his profession, and has been noted for achievements, leadership qualities, and the credentials and successes he has accrued in his field. As in all Marquis Who's Who biographical volumes, individuals profiled are selected on the basis of current reference value. Factors such as position, noteworthy accomplishments, visibility, and prominence in a field are all taken into account during the selection process. A celebrated political scientist, writer and educator, Dr. Briggs amassed more than 30 years of professional experience prior to his retirement at the beginning of 2000. Earning the rank of professor emeritus at that time, he formerly served as a professor of political science at East Stroudsburg University from 1972 to 1999. Alongside this prominent role, he was the graduate coordinator and chairman of his department from 1977 to 1995 and the faculty Fulbright adviser from 1981 to 1982. Prior to these positions, Dr. Briggs was an associate professor of political science at the university, a part-time admissions counselor at Syracuse University, and an assistant professor of social science in the College of Technology at the State University of New York at Delhi. In addition to these appointments, Dr. Briggs was a commonwealth speaker at the Pennsylvania Humanities Council from 1984 to 1986 as well as from 1996 to 1999, a panel chairman for the International Political Science World Congress in 1985 and 1994, a panel chairman for the Pennsylvania Political Science Association's annual meetings from 1993 to 1999, and a manuscript referee for the Armed Forces and Society in Chicago, IL, in 1979 and 1993. Likewise, he was an invited scholar to the Presidential Conference Committee at Hofstra University from 1984 to 1985 and in 1987, an invited participant in a seminar at Georgetown University in 1983, a consultant for the McGraw-Hill Book Company in 1981, and an invited delegate for the Science Research Council at the Academy of Science in the U.S.S.R. in 1979. Civically, Dr. Briggs was a panel participant for the Center for the Study of Presidency from 1995 to 1996, the executive director for the Research Committee on Armed Forces and Society at the International Political Science Association from 1990 to 1999, and a panel chairman for the research committee at the Fundacion Jose Ortega y Gassett in Madrid, Spain, in 1990. To prepare for his illustrious career, Dr. Briggs pursued formal education at the State University of New York at Oswego, where he earned a Bachelor of Science in 1960. He subsequently attended Syracuse University, earning a Master of Arts and Doctor of Philosophy from the Maxwell School of Citizenship and Public Affairs in 1962 and 1969, respectively. During this time, Dr. Briggs served in the U.S. Coast Guard Reserve from 1962 to 1970. Dr. Briggs has additionally been a prolific author and editor, having written editions of “Making American Foreign Policy: President-Congress Relations from the Second World War to the Post-Cold War Era” for several years between 1991 and 1997. A contributor of myriad articles in professional journals, he also edited “Politics in America: Readings and Documents” in 1972. Likewise, Dr. Briggs has been featured in a number of television specials for Action News 24, C-SPAN, and Blue Ridge Cable and Pennarama. In light of his exceptional accomplishments, Dr. Briggs was presented with a Certificate for Outstanding Teaching in Political Science by the American Political Science Association and Pi Sigma Alpha, the National Political Science Honor Society. Notably, he has been featured in numerous editions of Who's Who in America, Who's Who in American Education, Who's Who in the East and Who's Who in the World. In recognition of outstanding contributions to his profession and the Marquis Who's Who community, Dr. Briggs has been featured on the Albert Nelson Marquis Lifetime Achievement website. Please visit www.ltachievers.com for more information about this honor.